This review is about the 2015 version, not the original, FYI. Ushio and Tora is basically one of those old, mythical hero sagas, but told in a modern-day setting. You know the ones, where the hero is simply awesome? Where he goes on a quest, slays terrible monsters, protects the innocent? Meets people, makes friends and allies even as he defeats and surpasses them, and leads them in a war against the ultimate evil, as humanity’s great champion? It’s like that, only this particular tale did not finish itself centuries ago, it’s conclusion is playing out today in modern Japan. Take a moment to imagine what that means: ancient demons and human spiritualists fighting side-by-side with mad scientists and the military. It’s a pretty awesome combination, and everyone plays their part, every part being essential to the final outcome. 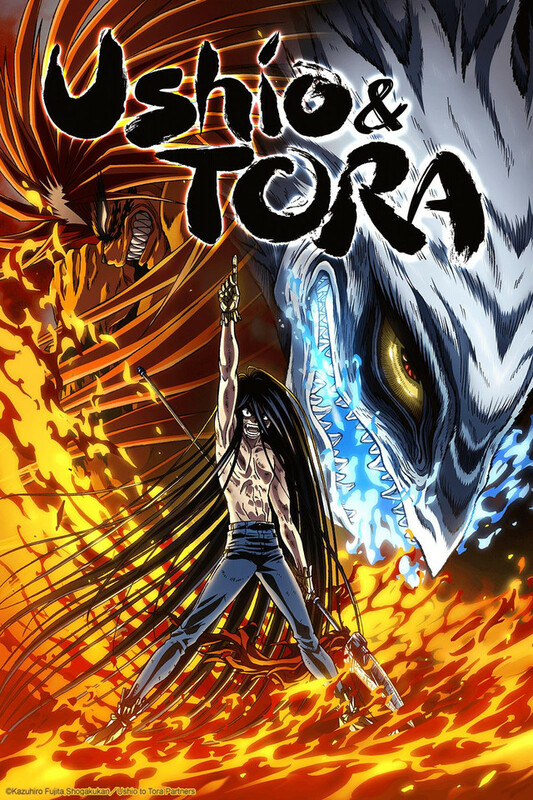 Following the adventures of the titular duo, the human Ushio and the demon Tora, this particular saga chronicles their ordeals, their unusual friendship, and their struggle against a most terrible, powerful enemy. The enemy rises to destroy the world, as it once destroyed many nations in centuries long past, and so the world fights against it, but it’s the influence of the lead characters which truly unites the various factions of humans and demons together. Though there is great loss and destruction, Ushio and Tora leave in their wake such things as hope, love, and the restoration of things which have long been broken. The story, and the world it’s set in, draws heavily from the legends of Japanese culture. Seriously, I wouldn’t know where to begin in detailing that, but the result is that they basically created a modern myth. It’s intricate, detailed, and thoroughly fleshed-out with a backstory that reaches thousands of years into the past and leaves no loose ends hanging. Indeed, the entire story is like that. In a way, it’s sort of simple, going through one ordeal after another, building up to the final confrontation, but it doesn’t need to be complex to be gripping. The stakes are set high right from the beginning, the plot becomes ever more personal to the heroes, and the emotional impact is crushing. The story details the conclusion of a very long war, and so it’s about the people who are fighting it. Also, everything which precedes the final battle is vital in setting up all the moving parts involved in it, which, there are many of them. When the enemy feeds on fear and anger and despair, it’s the contributions of everyone across Japan which turn the tide against them. This is the people vs the single most terrible monster the world has ever seen. So, yes, it might be a bit formulaic and even predictable at times, but it culminates in a brilliant, complex conclusion. 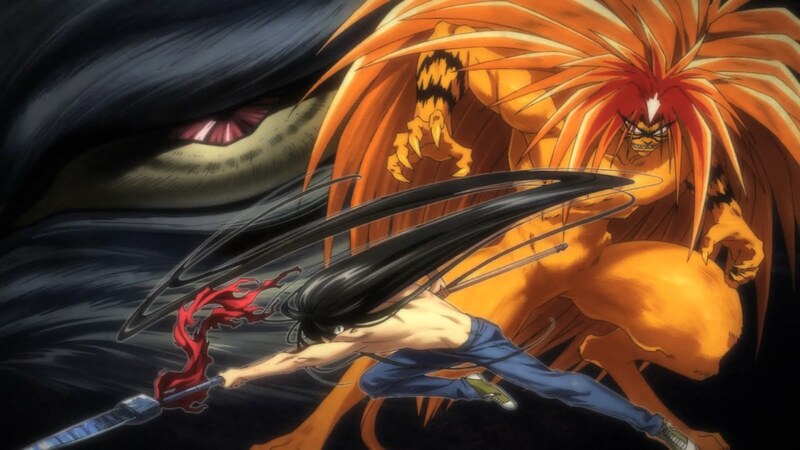 As for the heroes, I just love Ushio and Tora. The two of them, they are men of pride, strength, and conviction. They meet as enemies, and they never really become “friendly” towards each other, but they slowly come to grudgingly respect one another in a way, and they stand firmly and together against the enemy. They learn to work together, so well that they inspire everyone else to do the same, led by an awesome, undefeatable example. They neither bend nor break, but grow together. And for all the immense tragedy, the extreme stakes, the terrible loss, the horror of the enemy, and the epic, inspiring unity which ultimately triumphs, there is still room for laughter, especially early in the series. That’s what originally drew my into the show, from that first moment when Tora is trying and failing terribly to convince Ushio to release him from his prison, to Tora’s rough introduction to the 21st Century, to countless other moments throughout the series, I was laughing far more than a story like this ought to be able to make me. Granted, such comedy would not have had much place at the climax, but it was still pretty awesome. From start to finish, Ushio and Tora is an excellent story, this modern myth, gripping, hilarious, tragic, simple, intricate, powerful, and poignant. I am definitely going to own this one, and I highly recommend it for anyone who likes that sort of thing. It is easily a forward contender to be among my favorites. This entry was posted in Anime and Cartoons, Tuesday Review and tagged Ushio and Tora. Bookmark the permalink. I hate that I feel this way about it, but I feel like Ushio and Tora came out 10 years too late. I made it a little more than halfway through before I dropped out, but the show had so much going for it. I especially loved Tora, but something about the show felt like watching Inuyasha or Yu Yu Hakusho but without the nostalgia. Actually knowing that the og anime and manga were from that time makes a lot of sense. I actually feel like I knew that at one point in time lol, but I do have the memory of a gold fish. I definitely remember liking the art style, but I think I dropped out because there was somewhat of a lull halfway through that I just couldn’t get over. Maybe it was the lack of action around then or the romantic side-plot getting needlessly side-stepped. It’s like I recognize it’s a good series without being able to fully appreciate it if that makes any sense? I knew you would see my side of this great anime :).